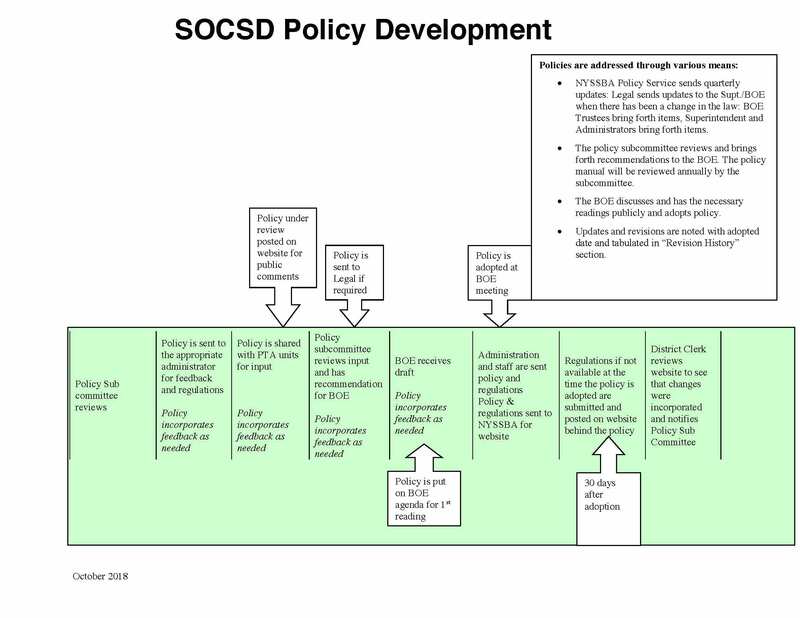 View the South Orangetown Central School District Policy Manual online. View the Public Concerns Policy 1400. Adobe Acrobat Reader is required to view forms pertaining to Policy 1400, which are posted below in Adobe Portable Document Format (PDF) and may be downloaded free from the Adobe website. Unable to access the forms? Please contact Board Clerk Kathy Muscari via email ([email protected]) or by calling (845) 680-1012 for assistance. Comments or questions? Email Board Policy Subcommittee member Rosemary Pitruzzella.